What fascinates me is the fact that expressions of nature has a structure which does not conform to any deterministic rendering. Beauty in these apparent repetitions evade all scientific formulas. Probably God's creations can only be enjoyed, not deciphered. 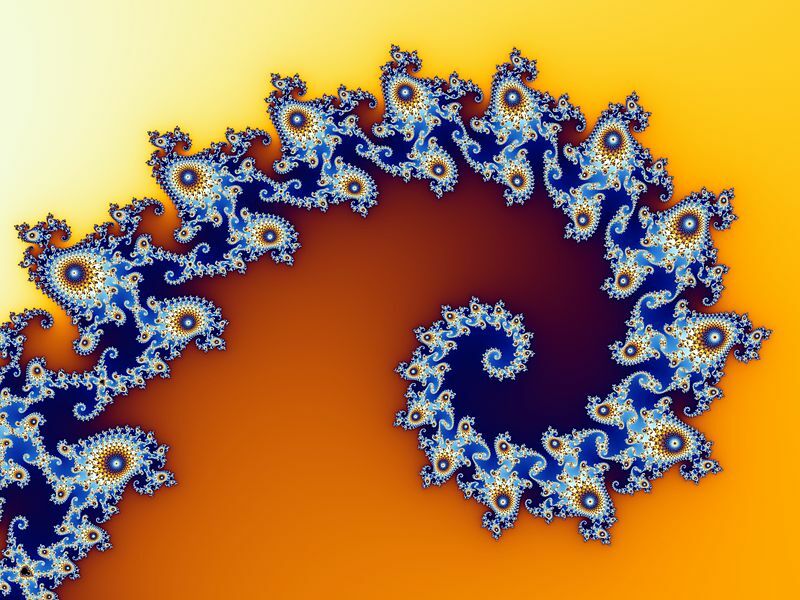 In contrast, some beautiful patterns like the below one can be mathematically generated. At the outset they look wonderful, after some inspection routine repetitions are well within the reach of human mind and reasoning. Soon, we stop wondering about them. Interesting indeed! I would like to add something here. Point of reference is as important as the thing under study.. A macro statistical sample would appear to follow laws to an observer . e.g we are all born, most of us get married, have children, all of us die after living out an average life span. So yes we follow laws, we follow set pattern of life. Yet when we observe one individual from close we discover a unique individual with quirks peculiar to his or her person. Likewise the pattern shared by you for illustration seems repetitive and deducible mathematically. Yet a closer look I mean real close look bringing us face to face with the innermost kernel of form might reveal random patterns. It’s like saying that an electron moves about randomly but a large set of them gives us steady flow of current. For me RDs domain "Art of clutter" is profound mainly due to this duality that it captures visually. Hrishikesh, I think you explained it better than I did !! You are right Nirlep. The unexplainable order in chaos or (micro-order in order for that matter) is what makes images very elusive.. I didn't get it Nirlep. How to "look closely "? Do you say even a two copies of the same design are different? This is very important for me because I am comfortable with shooting nature for it's unpredictability and struggle to shoot man made objects because of their predictability and perfect lines/circles. Is there a different way of looking at them?